Targetprocess provides a powerful engine to create custom tabular reports. In general, tabular reports provide an interface to extract data from database and present it in lists. Go to Reports → Tabular reports to access them. In old versions of Targetprocess, Custom Reports term is used for Tabular Reports. 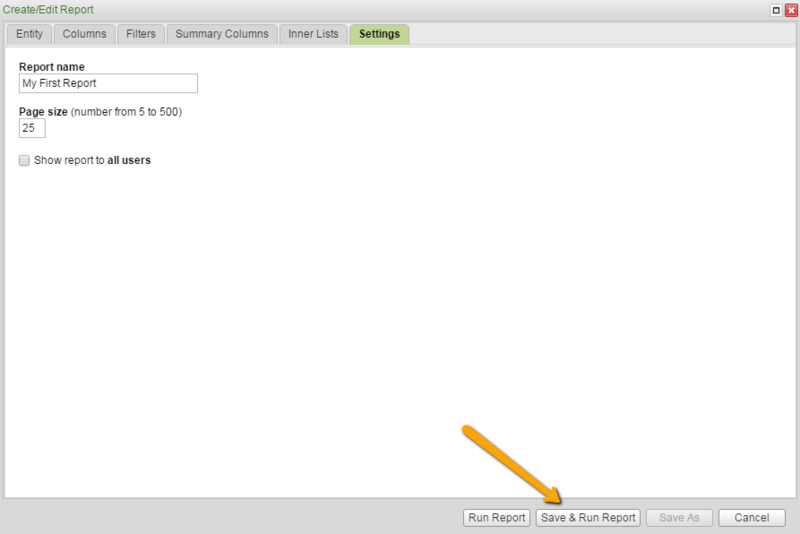 Then, either open (run) one of already existing reports or click Create new tabular report. For example, you can extract all open user stories that have zero estimated effort. First, select process and entity type for the report. This is an important step, since you're not able to change these settings in a saved report. All processes is recommended selection for process settings. User Story or Assignable are most frequently used entity types for reports with work items. You can have many columns in the report, in fact almost all entity properties are available. Expand nested sections to include more columns. You might want to see entity state for example, in this case click Entity State group and mark Name checkbox. It is not possible to include columns for lists. For example, it is not possible to create a column that shows all assigned people. You can filter by entity properties and by properties of all related entities. All filters are combined with AND rules. Summary columns allow to extract data from related collections. For example, you can create a column that shows the number of failed test cases for user stories. You can embed one report into another with Inner Lists. It means you can create a report for Tasks and include it into a report for User Stories. A report that you want to embed as an inner list should be created in advance and already exist in the system. Input unique name for your report to quickly recognize it further. Once saved, you won't need to build your report from scratch in future. Click Save & Run Report.